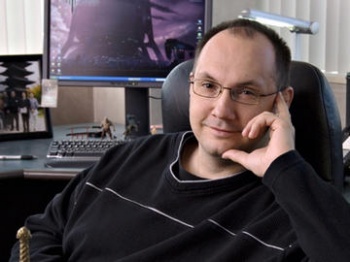 Silicon Knights chief Denis Dyack says the rise of the preowned games business has actually increased the cost of videogames. Depending on your perspective, the used games trade is either a godsend or a vicious kick in the junk. Gamers who have ever traded in old games to help pay for new ones tend to be pretty enthusiastic, as do the retailers who benefit from the relatively huge margins afford by preowned sales. Publishers, on the other hand, see no revenues from used game sales and thus take a somewhat dimmer view of the whole thing. But Denis Dyack says that even gamers, the supposed beneficiaries of the business, are ultimately suffering because of it. Videogames used to have a long tail, he explained, which meant that a game put on the market could maintain decent sales and generate revenues for several years. But the rise of used games effectively destroyed that aspect of the business, meaning that games must now earn the vast majority of their money within the first three months of release, and publishers who might otherwise thrive on relatively flat but steady "recurring revenue" suffer as a result. "If developers and publishers don't see revenue from that, it's not a matter of, 'Hey, we're trying to increase the price of games to consumers, and we want more,' we're just trying to survive as an industry. If used games continue the way that they are, it's going to cannibalize [the industry], there's not going to be an industry," Dyack told GamesIndustry. "People won't make those kinds of games. So I think that's inflated the price of games, and I think that prices would have come down if there was a longer tail, but there isn't." I don't think that industry complaints about the negative impact of the preowned games trade are entirely without basis, but I do take issue with some of the anti-used rhetoric that's occasionally tossed around. Dyack's assertion that games have become more expensive is especially off-base: In 1985, The Bard's Tale sold [around these parts, at least] for $76.95, while in 2012, Legend of Grimrock goes for 15 bucks, and even less if you preorder. Dyack did state that he thinks "digital distribution is going to play a big role in things to come" but even at the retail level, new game prices have stayed virtually flat for at least a quarter-century. What other business can say that? Can you remember how much you paid to see The Terminator? I can guarantee you it was a whole heck of a lot more than it cost to see Terminator Salvation - used copies of which are on sale now, by the way, at Amazon.